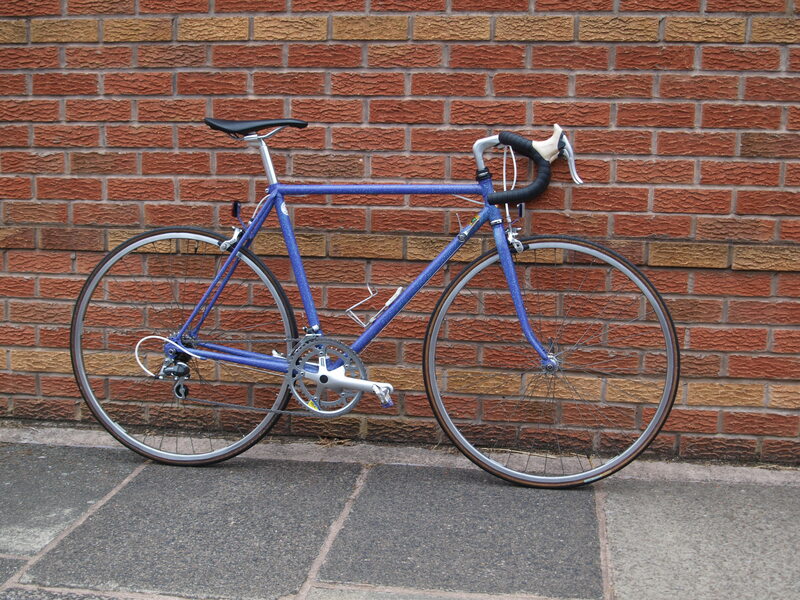 Rob’s pride and joy looking fresh after a complete rebuild in my workshop last week. 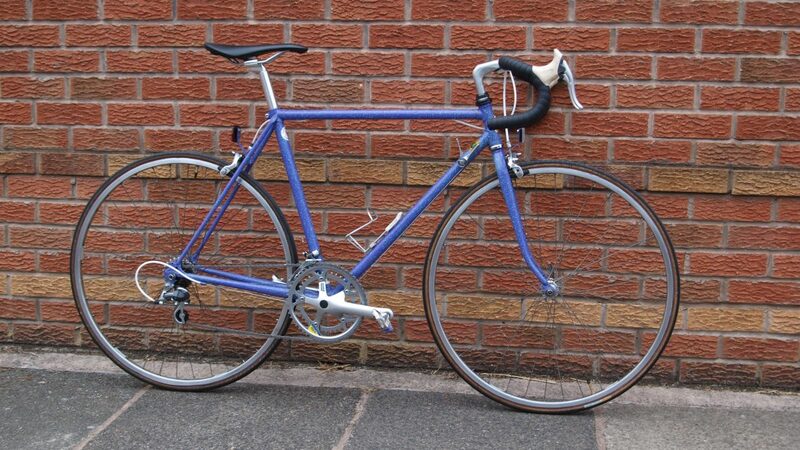 Hours of fettling and cleaning has resulted in a handsome and very usable classic that I’d be proud to own. 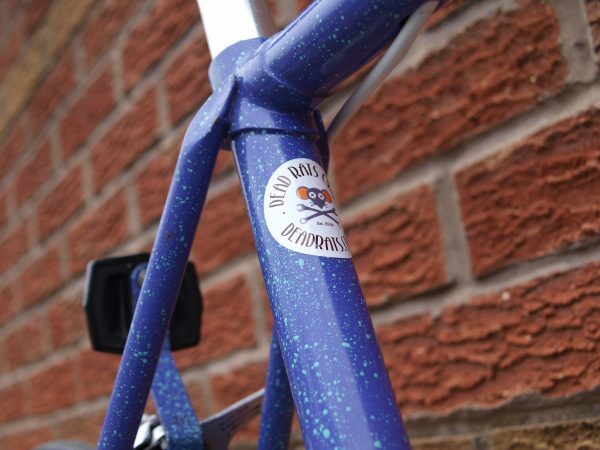 The chromoly frame had very little of its original decals remaining so they’ve been completely removed for a cleaner look. 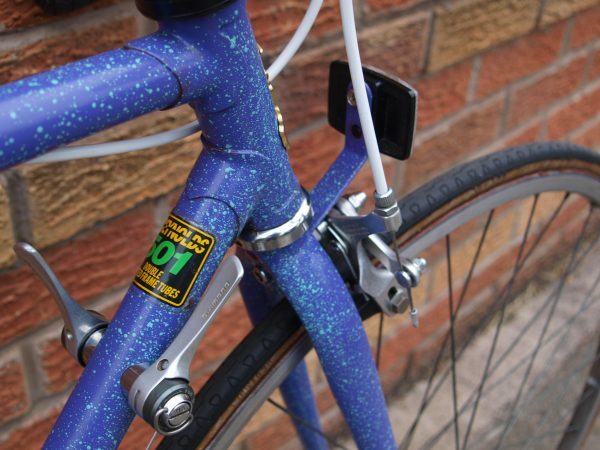 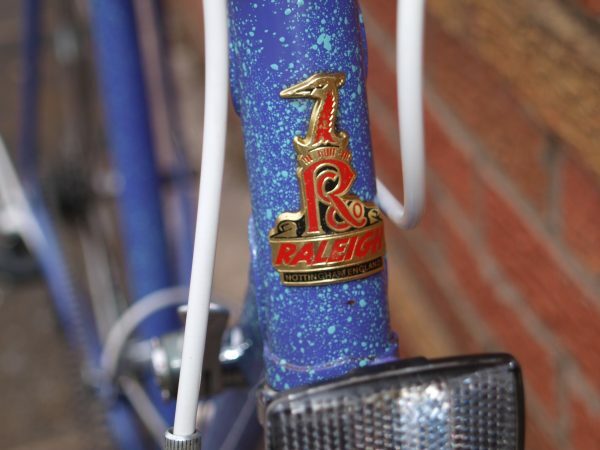 This shows off the original (and let’s be honest, awesome) splatter paintwork, with just the all important Reynolds 501 sticker and heron headbadge for decoration. 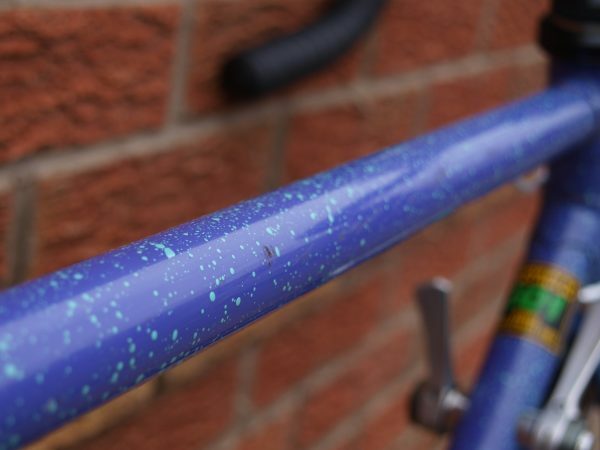 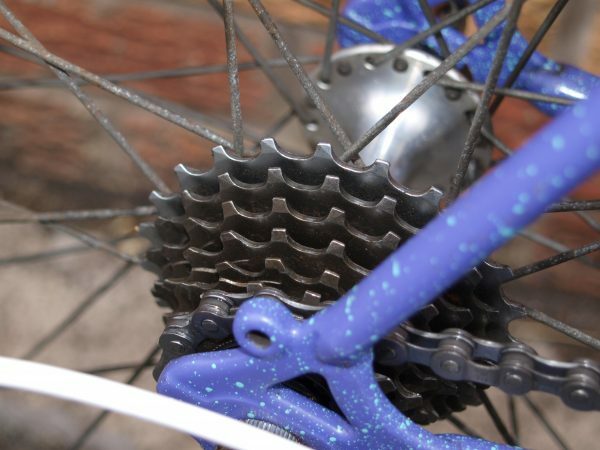 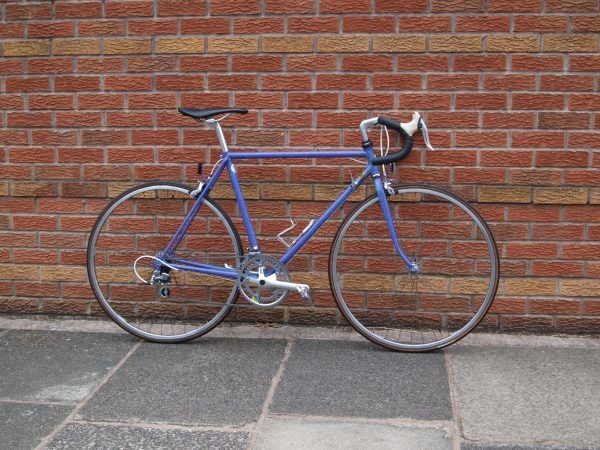 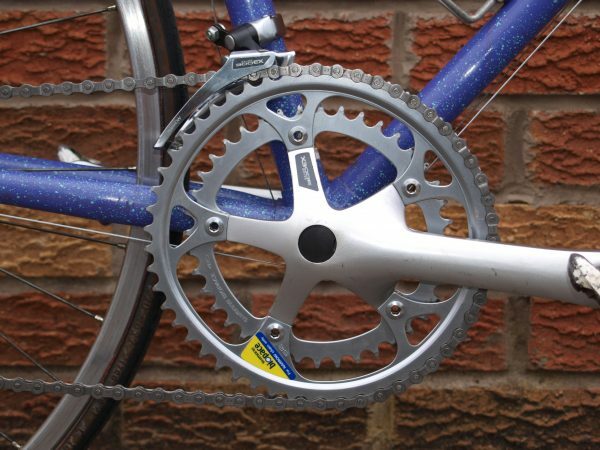 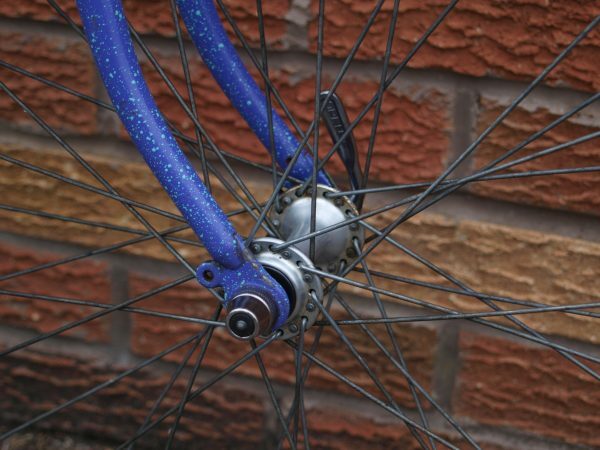 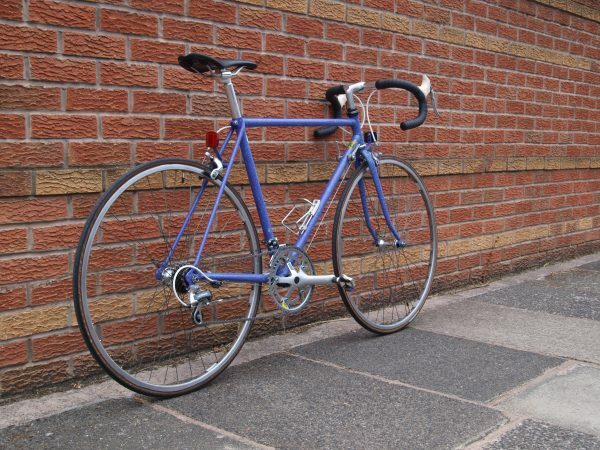 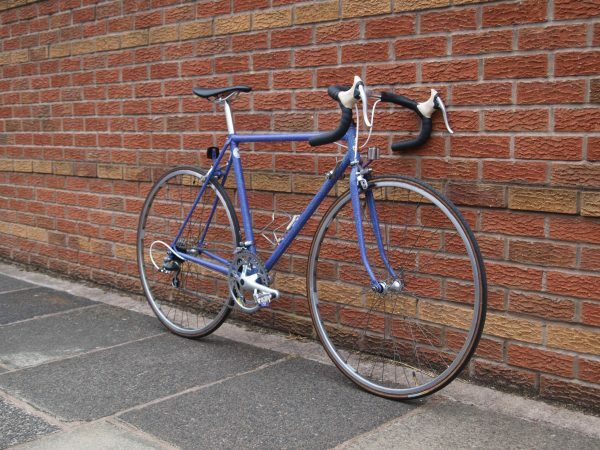 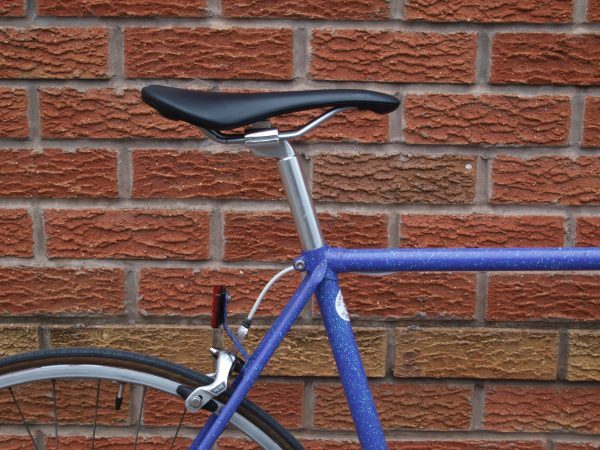 The original aluminium bars were bent so period replacements were fitted along with a new chain, cro-mo seatpost binder and a bottom bracket seal. 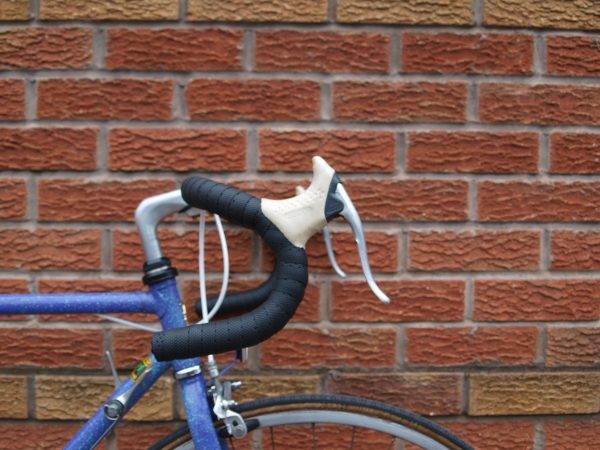 Rob had already replaced the original white saddle with a black one, so matching new bar tape was chosen along with new white cable housing. 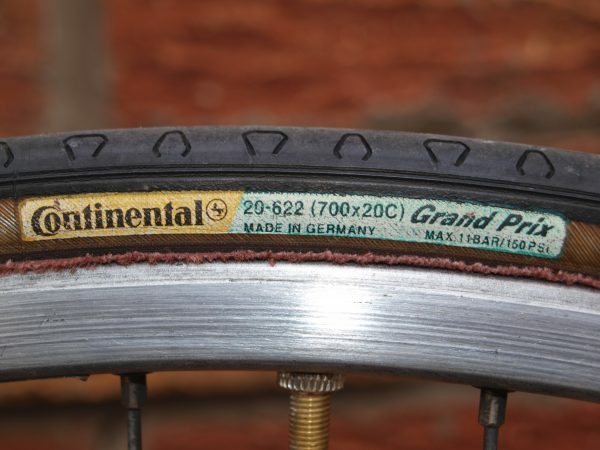 New tyres are on the wish list, perhaps a touch wider than the jarring 20mm originals. 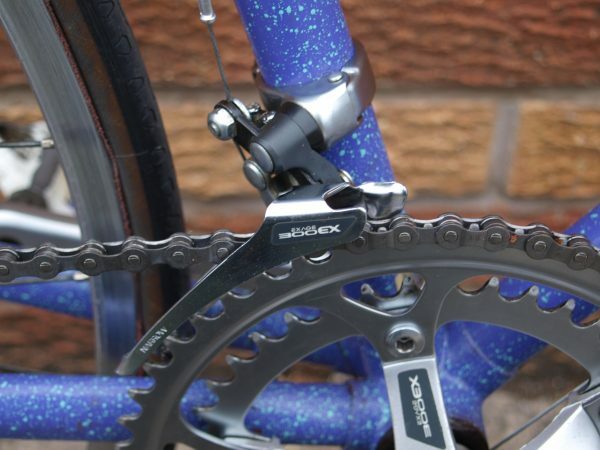 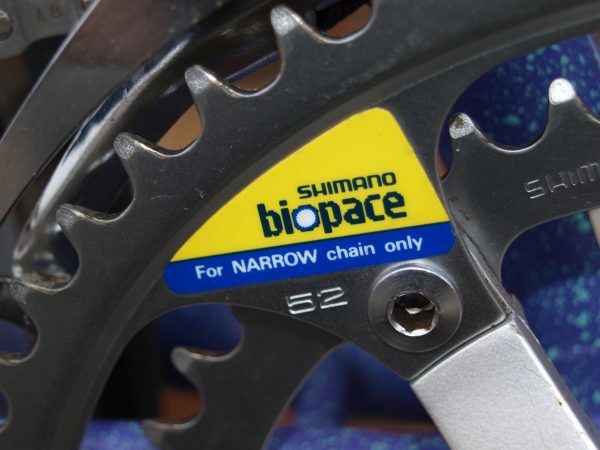 The bike features a full Exage 300EX groupset with 14 speed SIS, Biopace rings and quick release SLR brake levers, plus it has box section Alesa rims and, pleasingly, its original reflectors and bottle cage.